The venue of the 2018 Ryder Cup, Le Golf National plays host to this week’s Open de France which will be played over the Albatross course that surrounds the Chateau of Versailles, once home of King Louis XIV and one of three courses that make up Le Golf National. The French Open is one of the oldest Open Championships played in Europe, the first event was won by Arnaud Massy who then went onto win the championship three more times. He also won the Open Championship held at Royal Liverpool in 1907, becoming the first none British player to win the event. Other major winners who have won the Open de France reads like a who’s who of golf and includes JH Taylor, James Braid, George Duncan, Walter Hagen, Bobby Locke, Byron Nelson, Kel Nagle, Roberto De Vicenzo, David Graham, Seve Ballesteros, Greg Norman, Sandy Lyle, Nick Faldo, Bernhard Langer, Retief Goosen, Jose Maria Olazabal and Martin Kaymer. In 1985, the French Golf Federation’s Executive Committee decided they wanted to give the Open de France a permanent home and came up with a plan to build the Le National Club, it took three years to construct and was open for play in 1990. Hubert Chesneau and Robert Von Hagge designed the 6,854-yard Albatross course and although built on flat farmland it manages to combine a links feel with American style target golf. The course has wide undulating fairways, with links style bunkering, water hazards and with artificially created sand dunes it offers a tough test of golf. I wouldn’t normally tip someone who won the week before, especially after winning a major, but as the BMW International Open was in Martin Kaymer’s 9/1 homeland, I thought he may just pull it off, so I am going to stick with the German even though he missed the cut last week. I think Martin will want to get back on track for the Open Championship this week and in an event that he has won and had another three Top 10s in so I expect him to be in the thick of it again come Sunday. 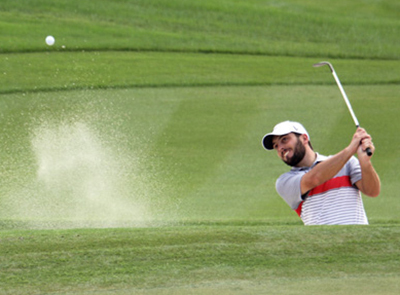 Francesco Molinari 18/1 is another player that seems to enjoy teeing it up at Le Golf National with two runners-up finishes; one a defeat in a play off – and three other Top 25s since 2008. Francesco has only been outside the Top 25 once in the his last six European Tour events and middle rounds of 66, 65 at the BMW International Open last week sees the Italian come in to this week in confident mood. 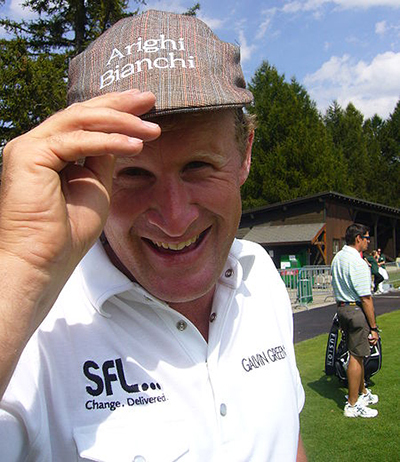 Someone else who will be teeing it up this week in confident mood is Jamie Donaldson 25/1. Jamie missed out on last week’s play-off at the BMW International Open by one shot, which showed great determination after an 81 at the previous week’s US Open to miss the cut. 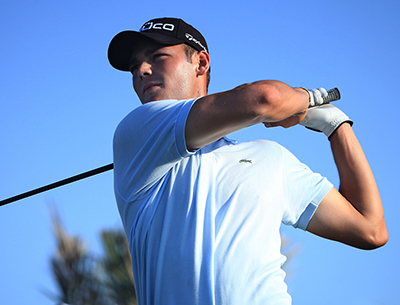 Donaldson had a Top 10 finish here last year and will be looking to challenge again this week. Another player I tipped last week who did make the play-off at last week’s BMW International Open was Rafa Cabrera-Bello 28/1 – 33/1 with Paddypower – who dropped out on the forth play-off hole, but the Spaniard has been in great form after a mid season blip and has been inside the Top 25 in his last five European Tour events. A storming final round of 66 took Simon Dyson 40/1 to one shot off the play-offs at last week’s BMW International Open, Simon has had two Top 5 finishes in his last four events and another Top 25 and should come into this week in confident mood. And his Top 5 finish here last year shows the lad from Yorkshire can do well on this track. Graeme Storm 80/1 – 110/1 with StanJames – won this event back in 2007 and defended his title with another Top 25 finish, since then he has only been outside the Top 15 once and had another Top 5 finish here last year and looks good value at these odds.